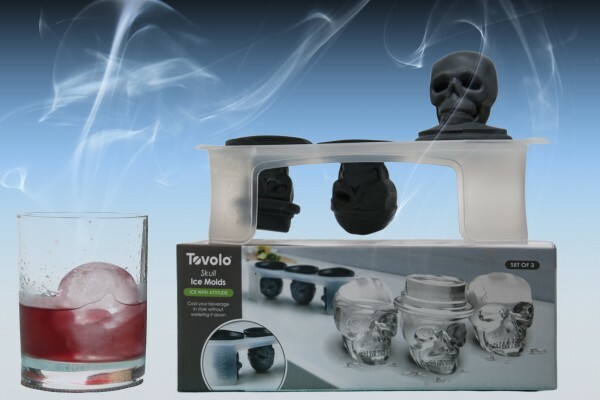 Product Description: Just in time for Halloween, these Tovolo Skull Ice Molds are fun and easy to use, will certainly inspire conversation and maybe best of all, they are large, so they won’t water down your drinks. 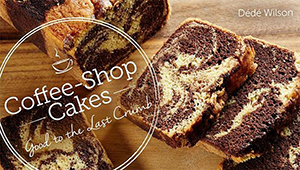 Test Kitchen Overview: These are fun. 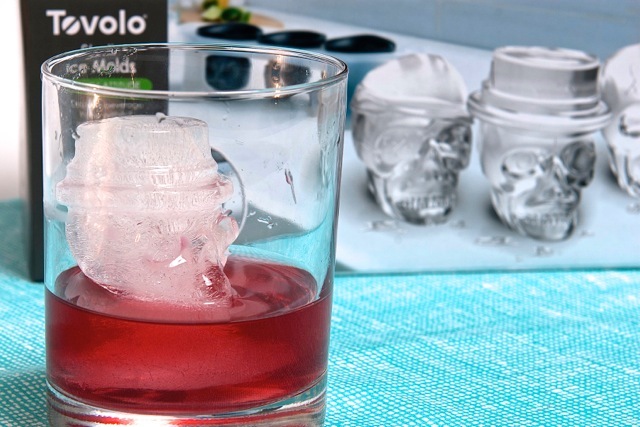 An ice skull bobbing around in your cranberry juice has a way of making the whole experience a little more, shall we say, gruesome – in a great way, that is. Pros: Easy to use. Family friendly. Large size is great for not watering down drinks. 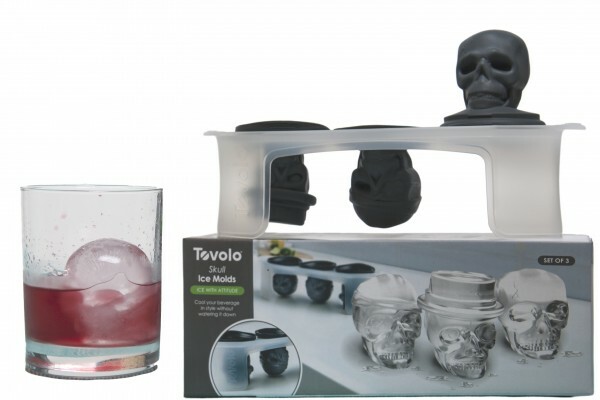 You can make the 3 skulls, pop them out of the silicone sleeves, place them in an airtight container for freezer storage and keep making more. 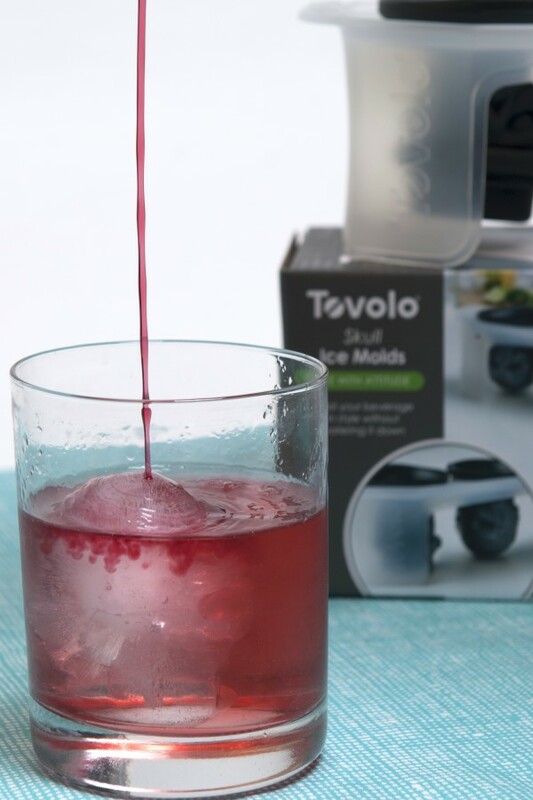 Cons: Not a necessary item, but an entertaining seasonal one. 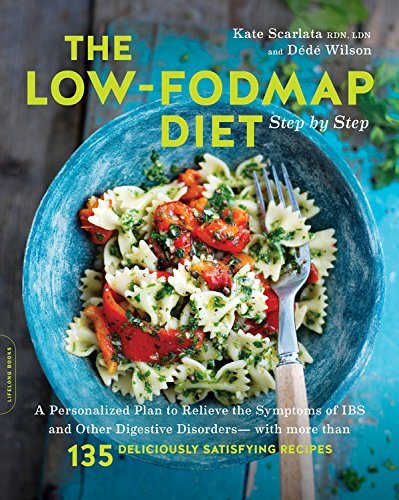 Suggested Use: Great host gift or for Halloween parties. Where to Buy: Amazon and at Bed, Bath and Beyond.